Gearbox’s Battleborn has been given a release date, alongside the reveal of four new characters. Battleborn, the game with the name that’s easy to confuse with Bethesda’s Battlecry, is quietly shaping up. Today, we get introduced to four new heroes: Ambra, Reyna, Mellka, and Benedict. Which are part of the game’s 25-character roster. 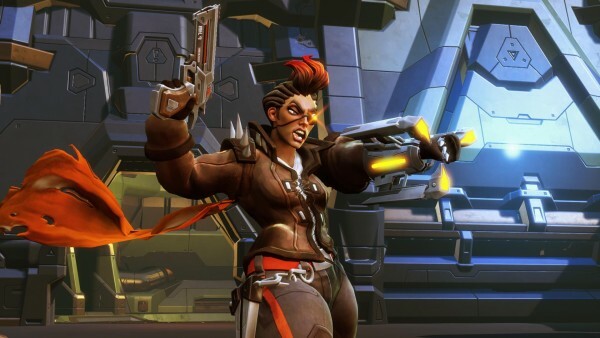 If you know anything about Battleborn, you’ll know that its large roster of characters is actually not that surprising when you see how it tries to give mechanics – usually found in MOBA games – context in a co-op shooter. Whether that works or not is anyone’s guess, but we’re certainly interested. The game’s release date has also been confirmed for February 9, 2016. An open beta is promised, details of which will be shared later this year. Battleborn will release on PC, PlayStation 4 and Xbox One.